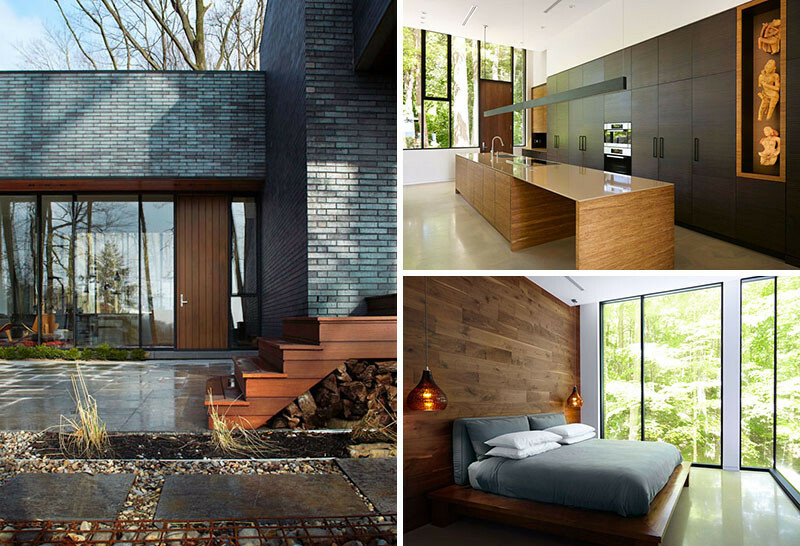 Setless Architecture have designed a home surrounded by nature in Dundas, Ontario, Canada. 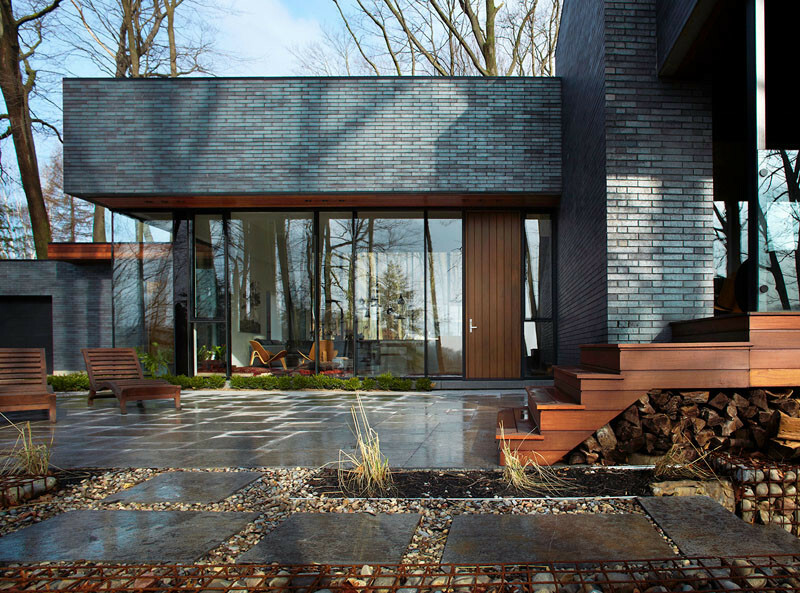 The home is situated above the Bruce Trail, on the edge of the Niagara Escarpment – a UNESCO World Biosphere Reserve. 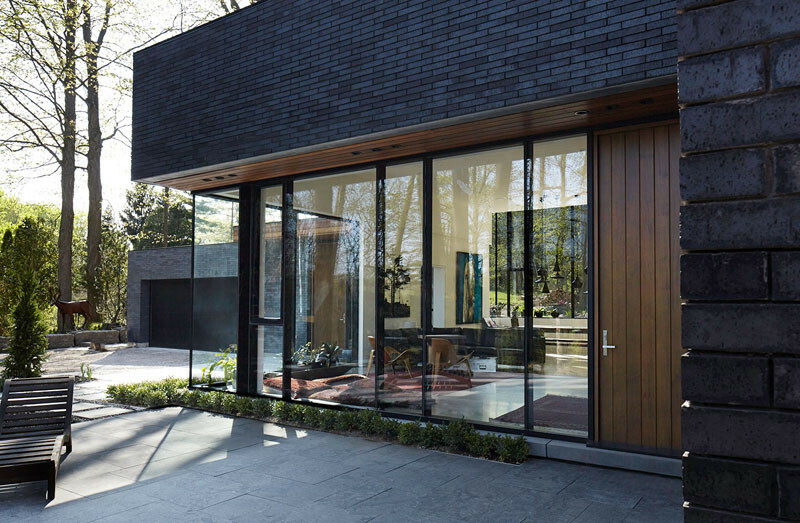 The dark brick and wood home, has an outdoor patio, that can been seen from indoors through the large black-framed windows. Touches of wood, soften the dark brick exterior, like the chairs, stairs, and door. Large windows allow plenty of light into the interior living areas. Inside, the cozy living room with fireplace, can be extended by opening the space to the covered deck area. In a second living area, the white walls are broken up with windows that have a view of the surrounding trees. The kitchen, with plenty of storage, has a cut-out section for displaying artwork. In the bedroom, a wood covered feature wall takes inspiration from the surrounding trees.